Trying to capitalize on the popularity of kickboxing, there are several small gyms that have popped up in recent years offering kickboxing classes. 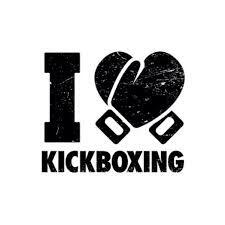 Why should you choose Tapout Fitness over our competitors like i love kickboxing? We teach the best kickboxing: Simply put, our kickboxing is the best in the city. Our instructors are professional fighters or high-level amateurs active on prominent fight circuits, who have been screened by the owners of Tapout for the ability to patiently instruct their students, the legitimate kickboxing skills they bring, and their personality and energy. We have the best membership rates: Tapout Fitness believes in customizing our plans to each member’s budget and needs, meaning that we will find a kickboxing program and price point that works for you! We are a fully outfitted 24 hour gym: Tapout is the ONLY kickboxing specialty gym also features a 24 hour fitness center. So not interested in kickboxing at all, but need a place to lift weights, run on the treadmill, hit the machines, etc. We have a low-cost membership option for you as well! Multiple area gyms: At Tapout, you can go to any of our Atlanta area gyms with your membership, so no matter where you are, there may be a Tapout Fitness nearby! The bottom line is that with Tapout, you get better kickboxing training, more class time slots, a full 24/7 gym, access to personal trainers, access to multiple Atlanta area gyms with one membership, and a facility with locker rooms and showers, all at a lower price. Stop by your nearest Tapout Fitness today and see why we are the most popular kickboxing based fitness concept in the city!